I had heard this from college counselors, teachers, peers, parents, and just about anyone else who has been involved in my life, and it allowed me to see that whatever college I chose, my experience is truly what I decide it will be. However, I had never really thought of it in the context of my time at Pingry. When this jumped into my head during the panel, I dismissed it at first, only to come back to it and realize its truth. That truth is that Pingry is a special place, and I think we, hopefully, all see that. But Pingry can only be so special on its own; it evolves into amazing when every opportunity and resource is taken advantage of, like when a genius math student takes the leap into photography and a star lacrosse player joins the Buttondowns. 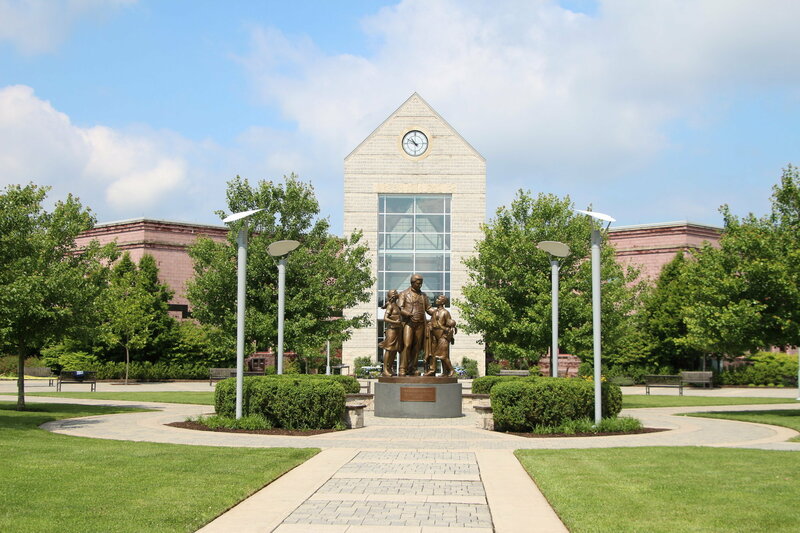 Personally, I realize that a lot of my defining experiences here have been so important to me because I have taken that leap and have embraced Pingry in all its specialness. One of my greatest experiences, my time on the soccer team, would not have happened without that leap into the unknown. While high school soccer may have been a natural progression for me, I can look at some of my fellow senior teammates and know that without the perfect combination of ambition and blind faith, high school would have been a completely different experience for them. I can look at the field hockey seniors, the drama cast, or the Photo classes, and see the same lesson mirrored throughout all these vastly different groups. Every single one of these people’s lives would have been different had it not been for some sort of step they took. They embraced the uniqueness and greatness of Pingry and allowed it to create a life-long, life-changing experience for them. The cheesiness of what I just said was perfect for that stage and that panel, but some of you might be scoffing and thinking, “Tell me something I don’t know.” To that I would say, I hope you don’t know all of this already. I hope you aren’t reading this and already looking at the title of the next reflection because you already know exactly what I am talking about. I say this because if you know all of this already, then you are done with high school. I truly hope the only people that can empathize with these things are my fellow seniors, because if you aren’t a member of the Class of 2018 and you think you already know what I am talking about, then you are both wrong and doing something wrong. If you are able to see all of this without having even entered your senior year yet, then I contest that you have failed at living by what I said above: you have not truly made Pingry all that it can be for you. I feel I can say this with confidence because the only reason I realize all these things is because my time at Pingry is now over. Now that my time as a proud Pingry School lifer has come to a close, I feel as if I have gained an understanding of the true power of being a Pingry graduate, and I know that for those who don’t see it now, they will see it five years down the road, when they are trying to get a job and their Pingry diploma is what gets them an interview. Or ten years down the road when they are wearing a Pingry hat in some exotic place and they meet a fellow alum. I know Pingry has provided me with a solid foundation for a great future, but I also know that I will treasure Pingry much more for the invaluable experiences and memories that I will carry with me for the rest of my life. All of these thoughts have come in reflection, and the weight of them has only truly struck me because I am now able to look back at Pingry, and not around at Pingry. That is one of many things that makes saying goodbye so sad—that my fullest and deepest gratitude and appreciation for this school has only come in hindsight. This year I started journaling. Every night, after I finished up my WebAssign problem sets, English poetry journals, and French causettes, I would crawl into my bed and begin my nightly reflection. My journal was not littered with earth shattering insights or existential truths. It was not filled with the emotional toil of a teenage girl living in the suburbs. It was not a collection of doodles. So, what was it? What did I commit myself to writing? Every night, I wrote strictly pragmatic reflections that described my daily actions; sometimes, the opening lines became rather tedious. Here a collection of my best: “Wow, I hate Church” (sorry Mom and Dad! ), “What a day. It was Tuesday, but felt like a Monday” (how insightful, Jenny. ), “Today was my first water main day!” (remember that?). The following pages of handwritten paragraphs document my day, describing classes, free times, sports practices, and homework. I began writing with the intention of reading my journal in the future, jumping back in time to any specific day and being able to relive it in memory. As I was writing, this seemed like a far-off and distant goal. Spending time every night to record what seemed like the basic motions of everyday life was hard to do. However, now I have one of the first chances to reap the benefits of my strictly pragmatic journal. I want to share my journal entry from one of my favorite days of senior year: February 1, 2018. TODAY WAS MY JOURNAL CLUB PRESENTATION! I woke up at 5:55 AM because I wanted to get to school at 7:00 for a 7:25 start. So, I showered, put on my outfit, and ate breakfast with Mom. In my new business look, I felt like a put together boss lady. I got to school at seven and made some last-minute adjustments to my slides (I actually changed the entire group delay dispersion section). Then I went down to the lab to get a beaker for the bent pencil refraction example. When I got back up to the faculty lounge at 7:05 for a 7:25 start, the room was locked, and there was no journal club member in sight. Finally, a member of the kitchen staff came in, and I started rearranging the furniture. Too bad that wasn’t done earlier! As 7:25 approached, people started to trickle in, and guess who was the first to arrive? Jamie! With minty mint tea! BOI! A lot of my other friends came too: Josie, Shruti, Alexis, Sana, Clyde, Helen and Kevin Ma, Kassidy, Naiyah, and more! It was so cool to have so many of my friends there to support me. Wow, I love Pingry. I really wanted people to come, but I didn’t want to seem self-important. The presentation itself went well. I started out with an Oprah meme and diffraction grating glasses. Then we talked about light as a wave, reflection and refraction, and finally the paper itself: “A broadband achromatic metalens for focusing and imaging in the visible.” My presentation was just about 30 minutes long, a little too long, but I had fun! I was so touched that so many of my friends came (and brought my favorite tea!). After the presentation I was floating on a high. Mom, Dad, and I went out to Starbucks for breakfast. We saw Mrs. Simon, mother of Alli Simon, and we talked about Handbells. At school, I had physics, Chinese, and math, along with a credit union meeting, iRT, and practice. A long but super fun day! Because I loved presenting at Journal Club so much, I think that I might want to be a professor when I grow up. So now, I have three things: work at NASA, be an architect, and be a professor! There are a couple of conclusions that I can draw from this entry, most of which are fairly obvious and you, as a reader, probably expect to see in a senior reflection. 1) At Pingry, I fostered amazing friendships that grew into real networks of support. 2) Clubs at Pingry, like Journal Club, give us all opportunities to deeply explore our interests and share our findings with others. 3) Starbucks is literally a breeding ground for Pingry connections. Talking to Mrs. Simon about Handbells was a highlight of my day! To me, this journal entry reveals something much bigger. This journal entry was just another day in my life. When I was rereading this entry, I was shocked by the tone of normalcy. Besides the capitalized introductory sentence “TODAY WAS MY JOURNAL CLUB PRESENTATION.” and the “Wow, I love Pingry,” nothing in the entry communicated anything extraordinary. 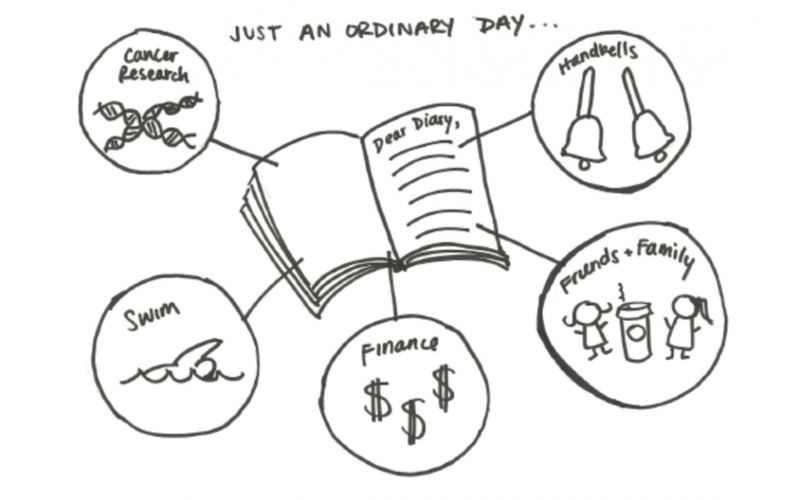 I never once said “This was an amazing day.” To me, presenting on premier scientific literature at 7:30, going out to breakfast with my parents, attending classes, meetings, and swim practice constituted a standard day. Looking back on it, February 1, 2018 would be considered an amazing day under nearly any circumstances other than my Pingry student perspective. It was a day that I decided academia could be a career, a day in which I was able to spend time with my parents, and a day in which friends loved and supported me, but to me it was a day that was filled with what seemed to be normalcy. At Pingry, the extraordinary experiences are so often that they appear normal and average. In what universe does a seventeen-year-old hustle from optical physics to millennium handbells to the financial world to cancer mutation to swim practice? At Pingry, you can do it all, and it seems normal. However, on February 1, 2018, I groaned as I sat in bed and dreaded writing my entry for the day. I did not consider that day to be particularly extraordinary, and I even questioned if anything noteworthy had actually happened. Today, I know the answer. It is only with the perspective of time—and those seemingly tedious and dumb journal entries—that I have been able to appreciate the extraordinarily ordinary life that Pingry gave me. On my first day of kindergarten, in 2005, as I walked up the mini ramp towards the Lower School gym, I was beaming with excitement. Our entire grade would be together for gym class. As we all changed out of our school shoes and put on our sneakers, our gym teacher Mr. Lafontaine’s voice boomed in the tiny gym. Within a matter of five minutes, I was instructed to “Squad 2,” and our grade was divided up into several unique “squads.” I felt so ready to take on the entire year with a group of people I did not yet know. The main purpose of our squads was to assign places for us to change our shoes and provide a main group to compete with in gym activities and obstacle courses. Looking back, little did we know that the idea of having a “squad” to take on obstacles and challenges would be the theme of the next 12 years we were about to embark on. Whenever I give a tour or sit on a panel and someone asks, “How would you describe Pingry in one word?”, my immediate answer is always, “empowering.” Each person at Pingry finds a way to overcome challenges and obstacles in every way possible. My journey to being a senior and finishing out my Pingry career has been filled with challenges. Whether it was learning a difficult math concept, finding a way to work on a team project, or preparing for soccer preseason, nothing has come easy. But I am grateful that these challenges made me who I am today. And I am grateful that I had support from so many different places. One thing I love about Pingry is that we all lean on each other for support. Yes, individual growth is encouraged, but Pingry taught me that success feels so much better when it is shared with other people. My first glimpse into this truth was Lower School Field Day. As I dressed in all white for the White team and prepared to compete against the Blue team, I was always excited to see my team win. While there were many individual competitions, everyone got the most excited when their team came one step closer to victory. As I entered high school, this support was evident on any sports team I played on or club I participated in. When I was a finalist in the Warren Buffett competition, the outpouring of encouragement and support that I received from my friends and teachers was so empowering. Everyone was excited to cheer me on, and it made me proud to represent Pingry as not only my school, but also as my family. Or when I ran down the soccer field, and my classmates would scream at the top of their lungs and cheer me on when I got the ball. Or on our Peer Leadership retreat when we all supported each other during the intense boundary breaking activities. 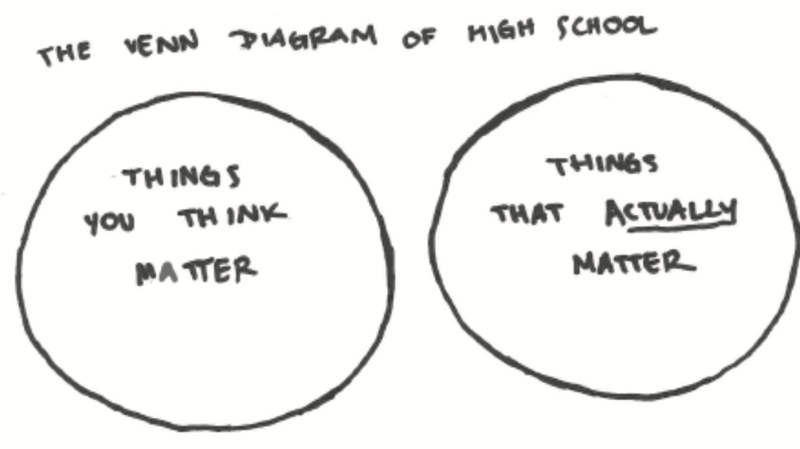 Navigating Pingry, and especially high school, has not been easy. There were definitely days when I wished it would just be over and I could get a break from the stress and fast pace. But at those times, I remembered the community I was in and the support I had around me. Some of the best feelings would be walking down to the senior area and getting a big hug from one of my friends. Or when we’d just laugh so hard on the senior couches. Realizing how many close friends I’ve made over the years and the memories we created makes saying goodbye bittersweet. I am also so grateful for all of the cool experiences and memories. I’ll never forget our trip to the Met in fifth grade or our middle school trips to DC and Philly. And I will always cherish the memories from our epic Spain trip sophomore year and our soccer trip to Italy senior year. Although my high school career is ending, I will always have memories like these to hold onto forever. With all of these amazing experiences, people, and lessons, the main lesson I would say is to take advantage of the opportunities that Pingry provides. School is really what you make out of it, so try and capitalize on anything that interests you. I never thought I would start to play basketball as a senior, but it ended up being one of the highlights of my high school career. It sounds cliché, but don’t do an activity because you think you should do it or everyone else is doing it. Find things that make you happy even if you aren’t necessarily great at them. And my other piece of advice would be to always try and make yourself available for other people. It’s easy to fall into an individual mindset, but take time to branch out and make friends or check in on other people. Good relationships are so priceless! I would like to thank everyone who made my Pingry experience so great and helped me along the journey. Thank you, Dr. Artis, who not only was an amazing advisor, but also was like a second mother to me during these past 13 years. And thank you to the wonderful teachers and supporters I had along the way: Dr. Pearlman, Ms. Martin, Mr. Nazario, Mr. Keating, Coach Lauren, and Mr. Lear. And thank you to people outside of school including Professor Fraser, my friends, church, and my family (especially my mom). Thank you Mom for always encouraging me every step of the way, and for being my #1 cheerleader. I could not have done it without the support of those around me, and I will be forever grateful to you all. 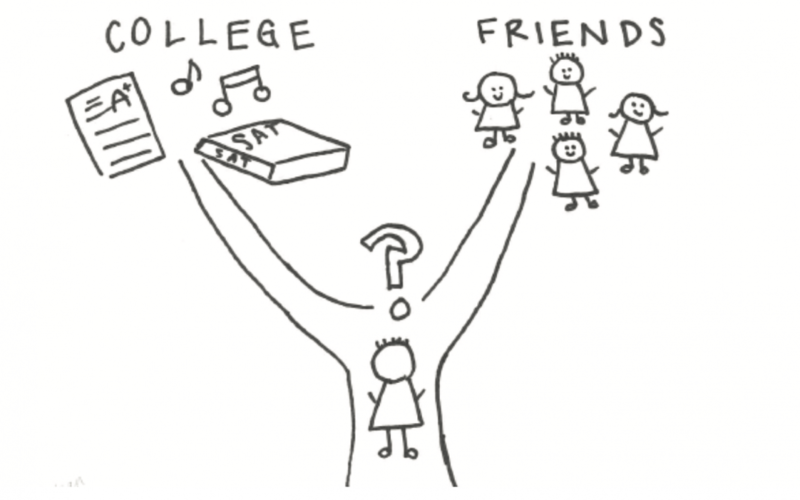 Throughout high school, I have often found myself struggling to find a balance between these two opposite tenets: “College is everything” and “Friendship is the most valuable thing in life.” I have sat through countless speeches delivered by my imperious grandmother, telling me to stop spending so much time with friends and start focusing on SATs. Alternatively, I’ve heard the opposite advice from my younger relatives to always make time for friends and never miss out on the opportunity to have fun. They’ve told me that I won’t even remember my struggles in Honors Physics, but I will remember the fun times as lasting memories. I’ve spent so many restless hour-long bus rides to and from school making mental pros and cons lists on my imaginary yellow legal pad, debating which path to follow. Sometimes I lean towards the college-centered mentality because I’ll picture our class reunions and think that the only thing people will remember is your name and what college you went to. As seniors are about to graduate, we have to face the hard truth that we will be parting ways with so many of our friends. But just because we aren’t able to hold on to these relationships doesn’t mean that they weren’t vital to our high school experience or that these relationships are gone forever. Finding the balance between college and friendship that was right for me took me nearly all of high school. And the best advice that I can offer underclassmen at this school is not what my combination was but rather that you should approach high school with a flexible mindset. I know that seems like a non-answer on par with Mr. Ross’s explanation for why Senior Prank Day is now illegal, but really the best attitude any Pingry high schooler can have is one that is curious and willing to accept change. Don’t expect anything to be rigid and guaranteed. I used to be stuck in this awful mindset that if I participated in this activity or won this award, it would mean that I was guaranteed this other prize. I used to think college acceptance was a formula, and if I followed the steps, I would achieve my goal. But I realized that having that mindset is the absolute wrong way to approach life. Another terrible habit of mine was that I would judge people based solely on their accomplishments. Realize that you are more than a résumé! However, at the same time, I’m not going to say that you underclassmen should feel bad about worrying about grades and extracurriculars. Instead, I will tell you that your classes and extracurriculars, for the most part, should be enjoyable. That same cliché career advice to do what you love is so applicable in terms of what you’re learning and what you’re doing outside of the classroom. I was lucky enough to have found my passion for music before high school, and my love for music led me to so many wonderful opportunities to develop myself as a musician, travel overseas, and become friends with amazing people through concerts and orchestras. While I was exposed to a rich network of music-related opportunities and talented friends outside of school, in school, I noticed a clear lack of resources and interest for music. 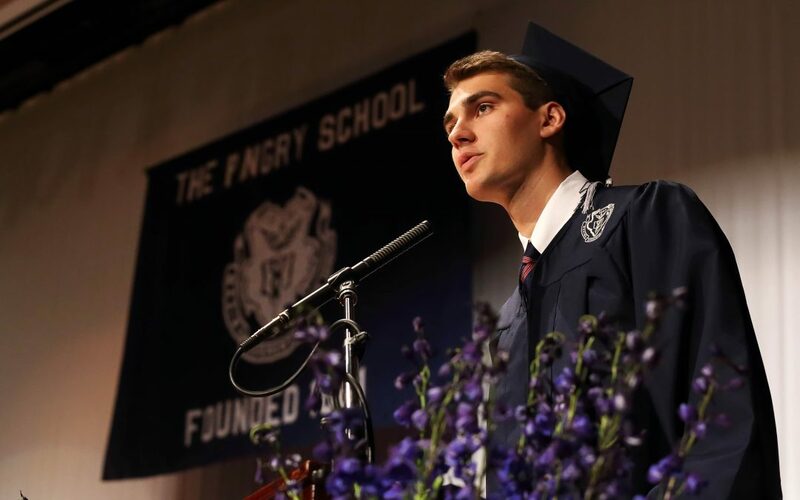 I had to rely on myself and the few musically gifted Pingry students to help bring our interest in music to our school, which, to paraphrase from this year’s valedictorian, is just a bit heavily sports-centered. I have so many fond memories on the stage in Hauser. I’ll never forget playing “Let it Go” and “Smooth Criminal” in front of my peers, who returned the favor with so much enthusiasm and many cheers. I still remember playing on that stage for my benefit concert; I was so nervous until I saw how many of my amazing teachers and friends actually came to watch me play classical music on a school night. My point is Pingry may not have everything that suits your interests, so you may have to rely on yourself to spread your influence to Pingry. There’s always a new club that could be introduced or a new program that you can help Pingry explore. Also, remember that this community of peers and teachers is comprised of some of your biggest fans and the closest friends you will ever have. I know that Pingry isn’t perfect. The pierogi sometimes remain frozen, and the tofu is cooked in some highly questionable ways. And the administration can be frustrating too. But the incredible teachers and friends you meet make this experience unforgettable. I showed up to my first day at Pingry in the September of 6th grade wearing the preppiest outfit I could think of: khaki shorts, a pastel orange shirt, and tennis shoes. I had gone to a Newark public school for my entire life up until then, and choosing my own clothes was a stark difference from the daily uniform I was accustomed to. Although I was still technically out of dress code, I remember feeling so lucky that I could wear anything I wanted to. I had missed my bus so I was very late to my first class, which was Spanish with Sra. Lawrence. When I stepped inside Pingry, I was greeted by Ms. Egan, who knew my name and how to help and immediately stepped into action. She was a comforting source of warmth and I knew I had someone to fall back on then, which was reassuring. When I stepped into class half an hour late, clearly out of dress code, and dripping from the pouring rain, I could feel all eyes on me. It dawned on me that I knew no one and this was everyone’s first impression of me. I tried to make a friend. I introduced myself to the person sitting next to me and reached out for a handshake, but my hand was so wet from the rain that they slowly retracted theirs. I can laugh about this now, but at the time, I deemed it one of the top 5 worst moments of my life. I began to wonder if I would ever fit into this foreign environment, and closed myself off from new interactions for a long time. As the day progressed, I made many visits to Ms. Egan’s desk, asking her a wide range of questions to try to get the run-down on Pingry. She answered each question clearly and thoroughly, and assured me that I would get the hang of things soon enough. Ms. Egan was right, and eventually I could focus on all the great things Pingry had to offer. These discoveries were admittedly surface level at first; they were all things you could find out on the Pingry website, such as the wide range of clubs we had or the fantastic help we got from our teachers or how fun our overnight trips were. I also remember being so shocked at the diversity of food options at lunch, as I had eaten a peanut butter and jelly sandwich with a side of boxed chocolate milk every day for the past 6 years. I wish I had kept that gratefulness with me throughout my entire Pingry experience, because it was easy to lose sight of how lucky I was, as these privileges became the norm. Throughout my middle school years, I would occasionally get detentions for things I can’t recall, and I would have to sit on the couch next to Ms. Egan’s desk. These detentions were where I actually discovered the most valuable thing Pingry has to offer. It was something you can’t just look up, but instead have to experience yourself. The rule of detention is that you sit quietly and reflect on whatever it is that you did. Instead, I would chat away with Ms. Egan and anyone that walked into the office. I would ask about her personal life, and she would answer my questions, always followed by, “but Ouarida, I really shouldn’t be talking to you.” I realized through those detention talks with her and others that everyone is so much more complex than they seem — especially the people at Pingry. Every single person has a lifetime of wisdom and experiences to share. As soon as I realized this, I began talking to everyone I saw, including teachers, students, maintenance workers, photographers, cooks, and the parents at the bookstore. And I got to learn so much about everyone. I gained a wealth of knowledge through small, unexpected moments of interaction in my days, and although they all started off as small talk, they are the moments I cherish most. When asking Mr. Chilmonik how to pronounce his name while getting coffee one morning, he presented to me a thrilling history of the origin of names, 1920’s alcohol laws, and how his family tied into that. When asking Ms. Easter about why she always responds “I’m blessed” to a “How are you,” she opened up to me about the setbacks she’s had in her life and how lucky she feels to be where she is now. When waiting for another teacher during conference period, Ms. Torres and I shared the similarities and feats/frustrations of claiming two different countries as home in a relaxed but meaningful conversation. I often hear people talking about how the assembly speakers we have at Pingry open their eyes to struggles they had never considered and stories they overlooked. Those speakers truly are extraordinary and I personally find myself moved by every speech I see. But you don’t have to wait for those special arranged moments to learn from the lives of others. I’ve come to understand that one of the best things about Pingry is that you can enhance your life at any time through the smallest ways. Something as simple as getting to know the person you smile at in the halls everyday can change the path of your life for the better. Everyone at Pingry has an amazing story to share, and I am confident of that. It is up to us individually to seek those stories and take advantage of the wisdom in our community. It’s a type of education you have to facilitate yourself, and I think that it is also the most rewarding.